One of the latest additions to our selection of honey, this Raw certified Organic Honey from the beautiful island of Serifos! 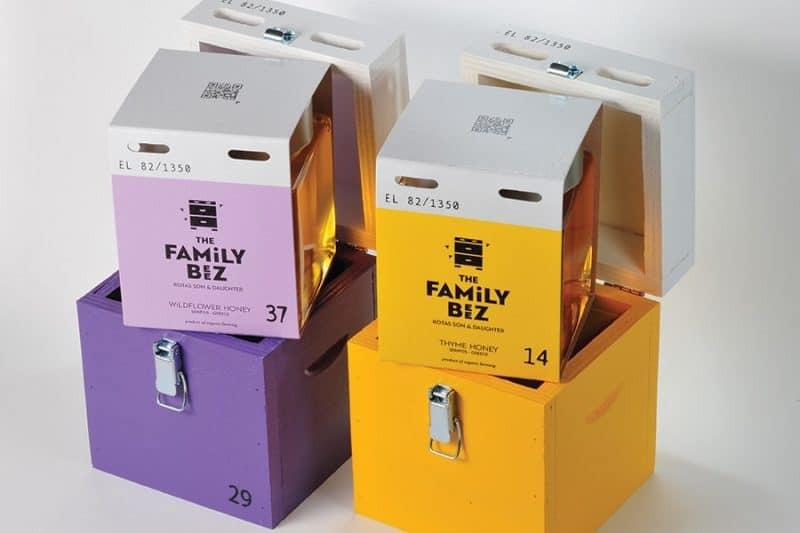 As the name playfully suggests, Family Beez is a family run business, that started producing thyme honey 40 years ago. The biodiversity of the wider region in Serifos, which is protected and characterized as NATURA 2000, has allowed Family Beez to produce honey of an excellent quality with unique taste, rich aroma and golden color. This exceptional product is also highlighted through its modern packaging stressing its origin as well as its authenticity. In the summer, between the deep blue Aegean sea, the low dry vegetation of the herbs and the sweet-smelling plants of Serifos island, the raw organic thyme honey is collected. It has a strong aroma, an intense taste and an amber color. A gastronomic treasure awaiting to be discovered by you! In springtime, around May, the raw organic wildflower honey is collected. The characteristics of this honey are its light golden color, its soft aroma and its delicate taste. Both these award winning honeys are available at our store and through our online shop.